How much do you know about Sacred Scripture? 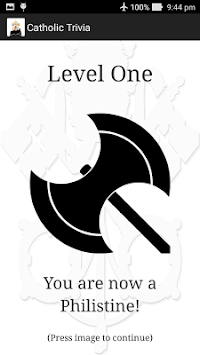 Work your way through seven levels of increasing difficulty! Over 1000 questions to answer! Start out as a Philistine, and work your way up to one of the highest offices in the Church! 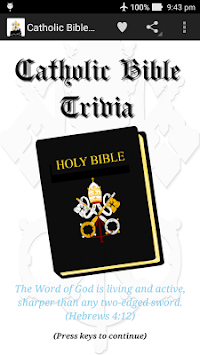 This is a trivia game which tests your knowledge of Sacred Scripture. The more you play, the more you learn about the Bible. 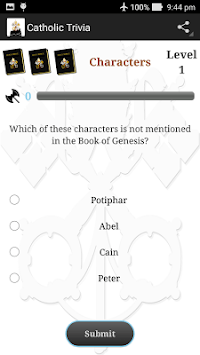 The large database of questions provides replayability in addition to the opportunity to employ the knowledge you gain from your mistakes to advance further in the game.